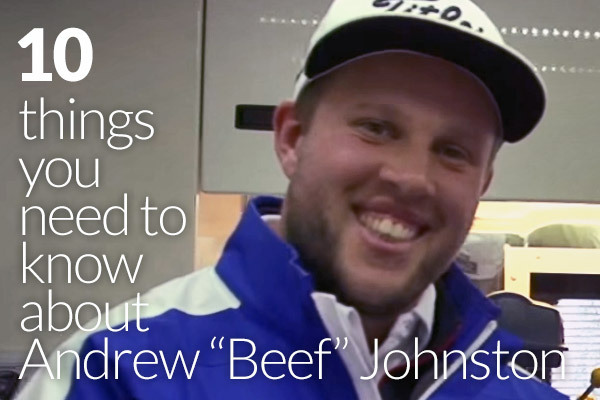 Why do people shout BEEF at Johnston when he plays golf? The nickname was born out of school when someone remarked that his hair “looked like a piece of beef”, from there the name stuck and Andrew “Beef” Johnston had a new nickname which has become a staple shout from the fairways. Johnston remarked that his curly hair was caused by his Jamaican ancestry (he’s a quarter Jamaican) which saw his hair go curly when he grows it. In winning the coveted crown at Valderrama, Johnston said he was going to “go home and get hammered with his mates and see his mum”. Whilst many would’ve opted for a more traditional response of “continue to work hard” “looking to build on this victory”, and whilst we don’t doubt he would do all of these things anyway, it was refreshing for Johnston to say such things during the elation of winning the biggest prize of his career to date. Whilst we can’t confirm that he celebrated by “getting hammered”, this clip certainly suggested he had a lot of fun with the win. We doubt that Open de Espana has been on a better night out than it did with Beef and his mates at North Middlesex Golf Club – and yes that is Johnston dressed as a Piñata. 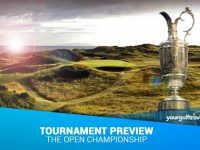 During Saturday of The Open Andrew Johnston “won twitter” with peaks around the back nine following his chip in on 11 for birdie and his continued great play that saw him rise up the leaderboard. Whilst he ended the tournament in 8th position with a score of -3, he cemented his position as a firm favourite with his light television interviews and determination to drive new fans into the game of golf. Whilst his nickname might have given the fans something to shout, it was his game and character that made him such a hit with golfers across the world. In a nutshell, definitely the coolest wedge I’ve ever seen. Beef’s 58-degree wedge is pretty impressive with 9 different types of beef engraved on it, including Rib Eye, Sirloin and T-Bone. It isn’t just a case of all the names and no action, Johnston recently took down a Tomahawk steak which weighed in at 32 ounces when challenged be a waitress. There was only one winner that day. Andrew is a big Arsenal Fan, he regularly attends the games at The Emirates Stadium and was able to play with one of his childhood heroes Ray Parlour in a recent charity golf day. With a fighting weight of around 16 stone we don’t expect Johnston to make any marauding runs down the wing but are sure he’d be able to ping a pass and you’d certainly struggle to knock him off the ball. Andrew played in his first 18 hole competition when he was only 10 years old. By the time he turned 14, he was in The Middlesex Junior Squad and when he was 16 he was playing off scratch. 3 years later Johnston got to plus 3 and decided to take on the pro ranks. 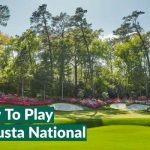 His first pay cheque in the Challenge Tour was at the Karnten Golf Open where he closed with a final round of 69 to claim a tie for 21st and walked off with just over 1,500 euros. Andrew had a very successful amateur career. He won countless tournaments and was a member of the England Boys National Team. In 2007 he was one of the few players chosen to be part of Team Great Britain & Ireland competing against Continental Europe in The Jacques Leglise Trophy. Andrew comes from Barnet in North London, and his golfing career began at North Middlesex Golf Club on Friern Barnet Lane. 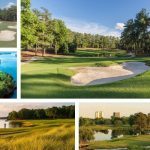 As a North London golfer myself I’ve enjoyed the rise and rise of Johnston through the amateur ranks and eventually into the professional game, he’s a well-known figure and you’ll continue to see him playing at his home club where he honed his game. In his first ever European Tour victory at The 2016 Spanish Open, Andrew took home a cheque of €330,000, a very large sum of money to the guy who said he couldn’t afford Christmas presents two years ago. Johnston’s total of 285 was good enough to claim a maiden victory at Valderrama Golf Club in Sotogrande. 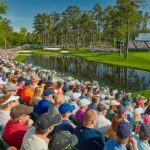 During the 2015 BMW PGA Championship at Wentworth Johnston approached the par-3 10th hole with a fantastic prize on offer for the golfer claiming a hole-in-one, a BMW M4. Beef was left with 184 yards to the flag and saw his perfectly struck 7-iron fly into the hole. Cue celebrations with a club being thrown in the air and his mate running onto the course to give him a chest bump that became one of the greatest celebrations you’ll see in golf. His mate must be made of solid stock, I’m not sure I would’ve stood standing to a Beef Chest Bump! He’s a breathe of fresh air. A real character and seems like a lovely guy. Good luck for the future Beef.